• A title centered above or below the polar plot. • A legend identifying each trace. • The arguments you used to create the plot. The relative locations of each of these labels on a perimeter graph and on a crossed axes graph. You can use these labels all together or in any combination. 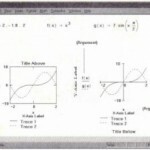 By default, Mathcad hides the title, displays arguments, and hides the legend. 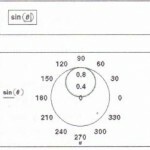 • Click in the polar plot to select it. 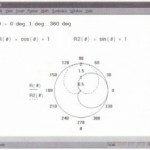 • Choose Graphee-Polar Plot from the Format menu or double-click on the selected plot. 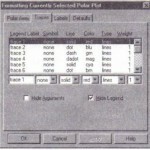 Mathcad displays the dialog box for formatting polar plots. If necessary, click on the Labels tab to see the Labels page, as shown below. 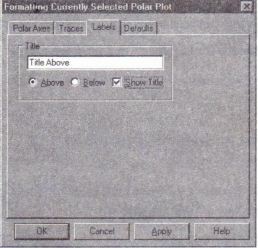 • Type a title for your polar plot into the Title text box. • Click on either the Above or Below button, depending upon where you want to put the title. • Make sure that the Show Title check box is checked. If it isn’t, Mathcad still remembers the title but won’t display it. • Click “OK” to accept your changes. 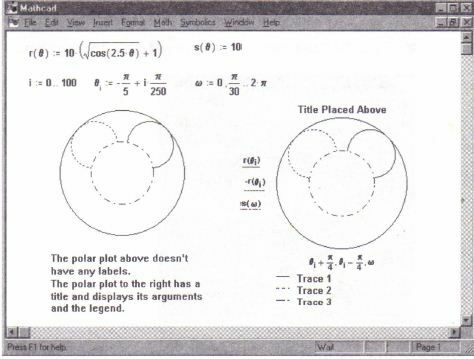 Mathcad redraws the polar plot with the title in place. Alternatively, click “Apply” to preview your title without closing the dialog box. To change the title’s text or position, edit the information in the Title group as appropriate. To delete the title, highlight it in the text box and press [Del]. • Arguments are the expressions that you typed into the placeholders to create the polar plot. 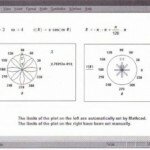 By default, Mathcad displays arguments. • Legends are labels that appear underneath the polar plot. They contain a name and an example of the line and symbols used to draw the trace. By default, Mathcad hides legends. 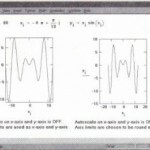 • Choose GrapheePolar Plot from the Format menu or double-click on the graph. 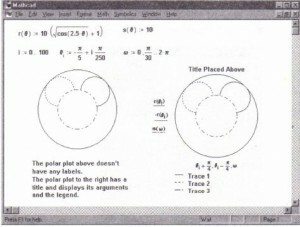 Mathcad displays the dialog box for formatting polar plots. If necessary, click on the Traces tab. • To suppress the display of the arguments, click on the Hide Arguments check box to add a check. • To show the legend, click on the Hide Legend check box to remove the check.